Ebbro's 1:43 N360 have an amazing level of detail. 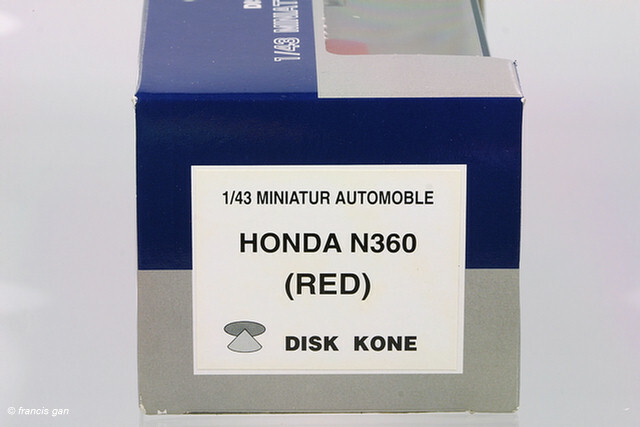 The original dark green-boxed N360's were one of the earliest Ebbro 1:43 scale cars and had more exterior detail than even the NSX! The later N360 in different colors as well as a roll-up sunroof version in yellow. 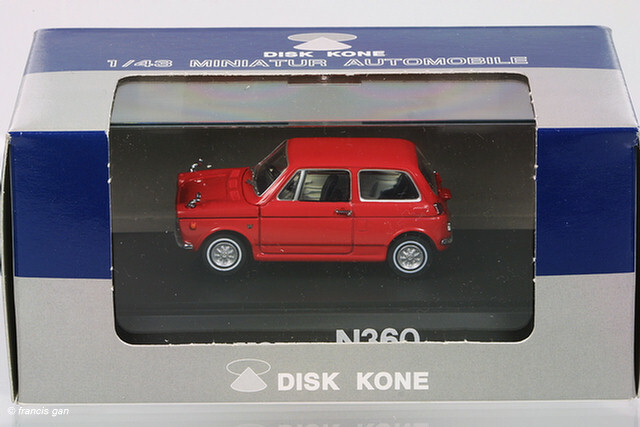 The Ebbro N360 was also available Diskone packaging.